2016: The crucial year for democracy in New Jersey? There are plenty of perfectly justifiable reasons to flee New Jersey, folks. I’d be lying if I denied it. Reasons to stay? You bet. 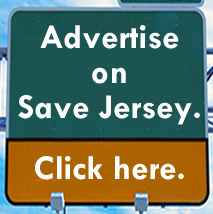 I’m the guy who runs a site called ‘Save Jersey.’ But things are bleak; there’s no sugar-coating it. The good (or bad) news depending upon whether you’re an optimist or a pessimist? Next year will more than likely prove to be a critical year for democracy in New Jersey even without any state-level offices on the ballot. For starters, we should finally get a decision at some point in Evenwel v. Abbott, the “one person, one vote” case you’ve likely heard something about. Oral argument took place back on December 8th. Bottom line? The U.S. Supreme Court will decide if voting district maps should be based on only eligible voters or a more holistic approach that includes non-citizens. A ruling that only actual citizens should be considered when drawing districts for actual voting (a no brainer, you’d think?) 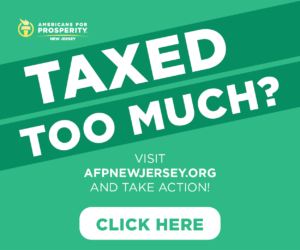 could force legislatures in a number of states – including our own – to throw out their current maps and redistrict early, and especially here in New Jersey, that change would clearly benefit the hobbled GOP. Her concern is justified, of course. If ultimately approved, among other changes, ACR-4 would amend the state constitution to create “safe” state legislative districts for “two major political parties,” and mandate only that “at least 25 percent of all districts are competitive districts.” Which is hilarious, of course, Democrats’ crafted the current map expressly to favor “continuity of representation” over competitiveness. What did that map buy us? At a time when things are awful in N.J. – so presumably plenty of folks in Trenton deserve walking papers – only a handful of districts were contested in 2015, and just 4 legislators lost their jobs, all of them members of the minority party. Hmmm…. The end result would be a constitutionally-enshrined one-party system in New Jersey. 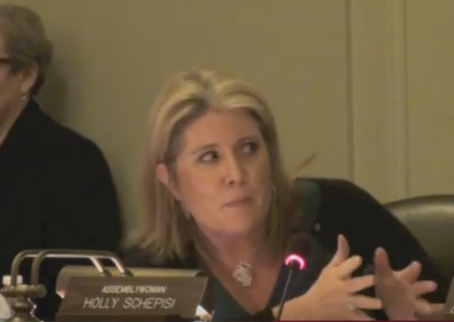 Kean’s own counter-proposal would predicate redistricting solely on census population data and forbid the use of political registration and election result data. 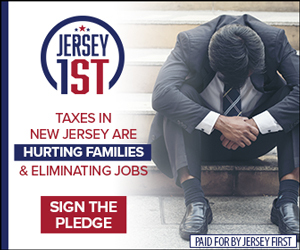 They’ll probably need to carry me out of the Garden State in a box, Save Jerseyans, but if BOTH of these issues go ahead the Republican Party in 2016, I’m going to have a lot more trouble summoning the sincerity to convince you to stay put and fight alongside me. Buckle up! We already have a viable system based registered voters, polling districts that are aligned with those on the roll. Obviously, the rolls should be purged to account for the 20-30% “fluff” of non-active voters (not voting in the last 7 yrs?). And since we will be playing constitutional amendment, let’s have 80 districts with one rep per. This “team” approach is inane. Keep the Senate the same with one covering 2 Assembly districts! I don’t know how this would pass Constitutional muster. I disagree a bit about John McKeon’s bill and that surprises me because he is a partisan Democrat. If the GOP and Dems each get 15 districts (we have 16 Senators now and Diane Allen’s district clearly favors the Dems although Van Drew’s really favors Rs) and then there are 10 swings how is that any worse than what we have now or that much different from what Bramnick proposed? Of course a much better way to help the GOP gain the seats it deserves (we won 47% of the popular vote in November but only 35% of the seats) would be to repeal the stupid rule not allowing municipalities except for Newark and JC to be split. For instance, we know there are parts of Woodbridge that can vote R but they can’t help us the way things are now. It’s a similar problem in Clifton, Belleville, Bloomfield and several other large towns in the state where there is a conservative-leaning ward or area. I did a quick study of how the Supreme Court’s potential decision regarding who to count for districts would affect NJ. Comparing two Bergen Democratic towns (Edgewater 12,343 and Fairview 14,317) with two Morris Republican towns (East Hanover 11,289 and Hanover 14,317). The two Bergen towns have about 10,790 voters while the two Morris towns have about 17,700 voters. If they decide in favor of drawing districts by registered voters, the impact will be dramatic. Quit bellyaching, there was a deal to give the Dems an edge in the state elections and give GOP an edge in Congressional elections. You are too funny for words, Matt. BTW…rumor has it that you plan to sit home and sulk if Trump gets the nomination. Care to comment? I moved out in July.. Get out while you can.. The move [job transfer] was a $10,000 raise with the same salary. Better gun rights. Less crime. Actually almost No Crime where I live.. The only gun fire you hear is target & hunting. Beats Millville..